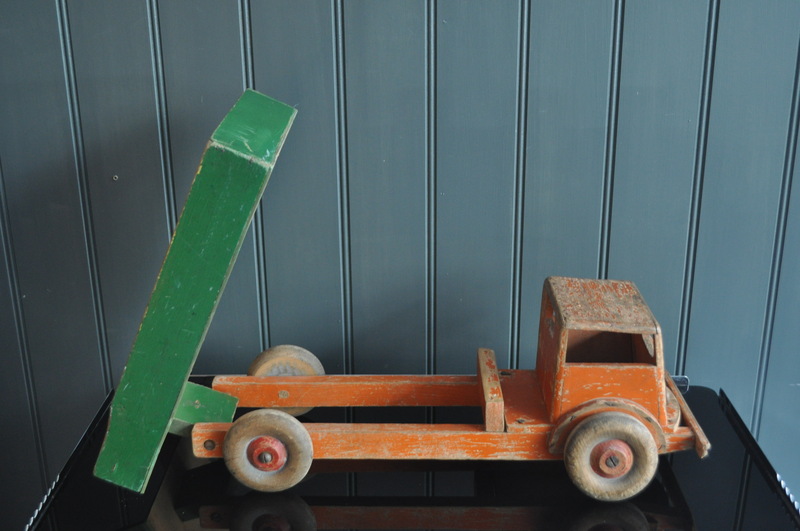 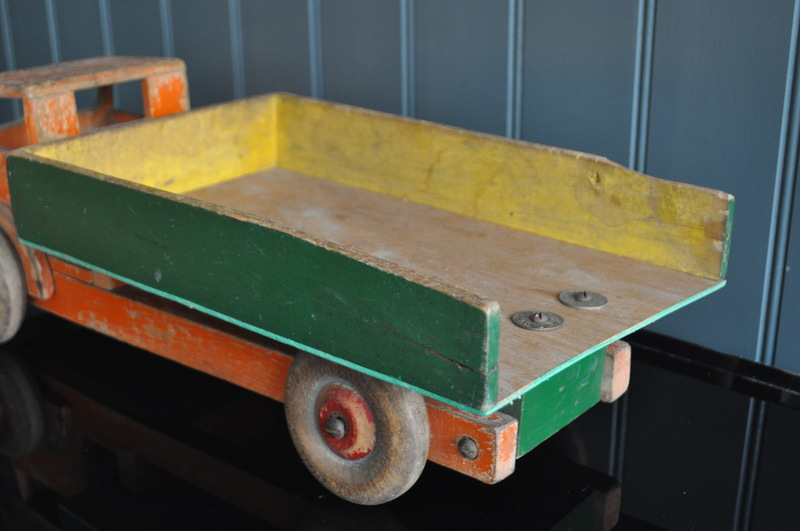 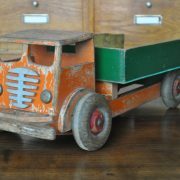 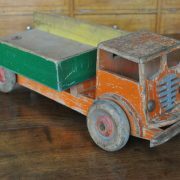 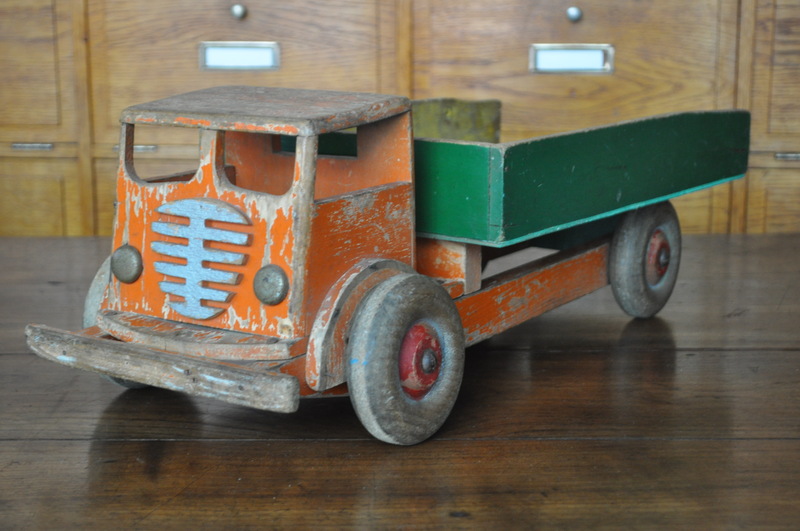 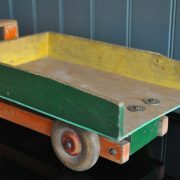 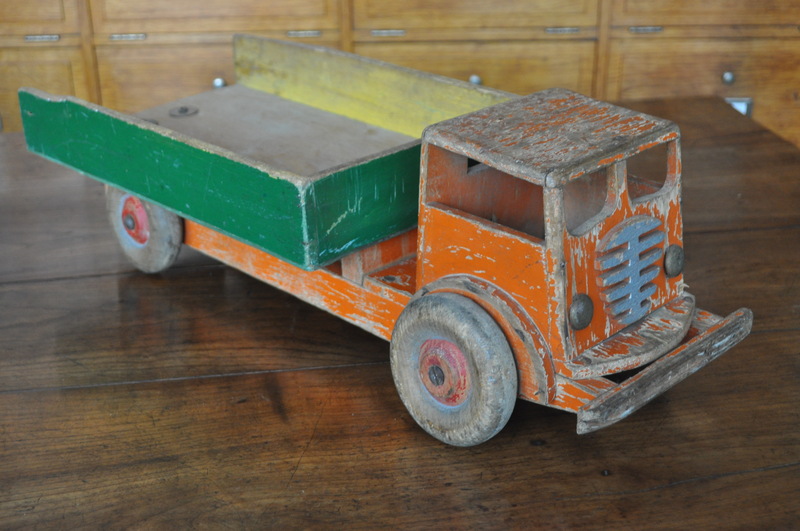 Lovely French wooden tipper truck, in original faded paint. 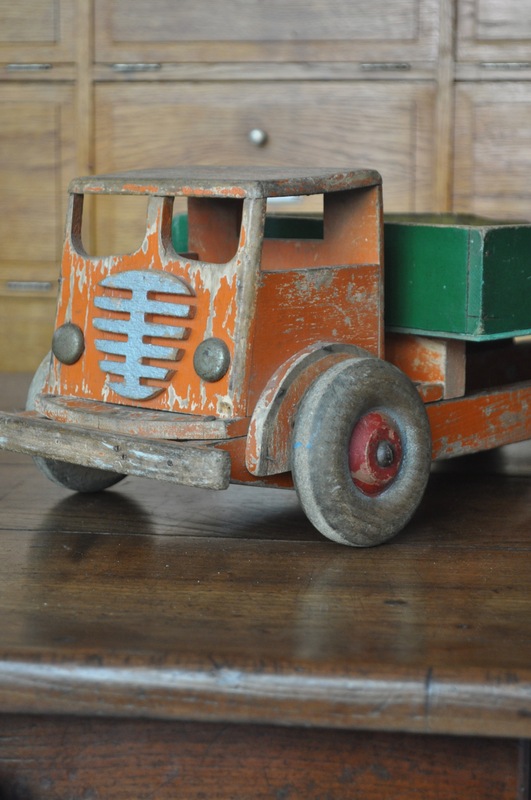 Minor loss to the rear of the tipper, but nothing off-putting. 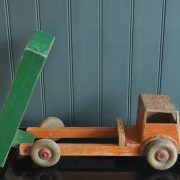 A super size, and smooth-running wheels for negotiating the bedroom floor!